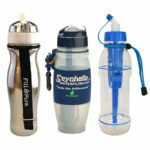 Fits the Seychelle 28oz and 24oz Pull-Top Water Filter Bottles and 38oz and 42oz Canteens. 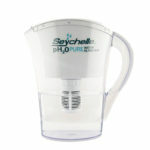 The replacement filter for the STANDARD 28oz and 24oz Pull-Top Water Filter Bottles has the Seychelle™ Filtration System for pathogens, contaminants, chemicals and heavy metals. 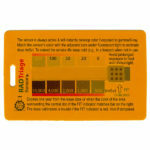 Completely filters drinking water equivalent to 757 regular water bottles! 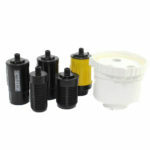 The Seychelle™ STANDARD Pull Top Replacement Filter which can be used with tap water or outside water sources such as well, rainwater, rivers, streams or even freshwater lakes. 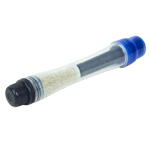 Cannot be used with brackish, turbid, stagnant or salt-water which may clog the filter (brackish water has more salinity than fresh water, but not as much as seawater – normally river or estuaries that are near seawater). 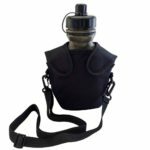 Be the first to review “Replacement filter for STANDARD Pull-Top bottle and Canteen” Click here to cancel reply.